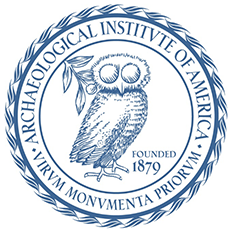 The Archaeological Institute of America (AIA) is America’s oldest and largest organization devoted to archaeology. Their aim is to support archaeologists with their research, as well as educate the general public and introduce a historical dialogue about our ancient past. Our partnership with the AIA Boulder Society began in the 1990’s, and is very active to this day. The AIA Lecture Series is one of our longest and most popular event series here at the museum. Renowned archaeologists and anthropologists from across the nation are invited to speak at our campus and share the findings of their research about a wide variety of topics. Many of these archaeologists have done field work across the globe, from Africa, to Asia, to Europe, and the Americas. We offer a variety of AIA lectures every semester. All lectures are free and open to the public. For more information about the AIA, please visit their website or contact Dr. Sarah James, Assistant Professor, University of Colorado Boulder Classics Department.